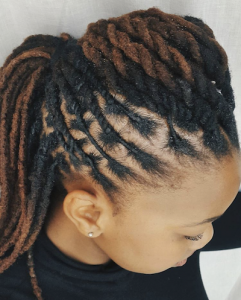 Has the misconception that locs are not versatile led you on a search to prove otherwise? 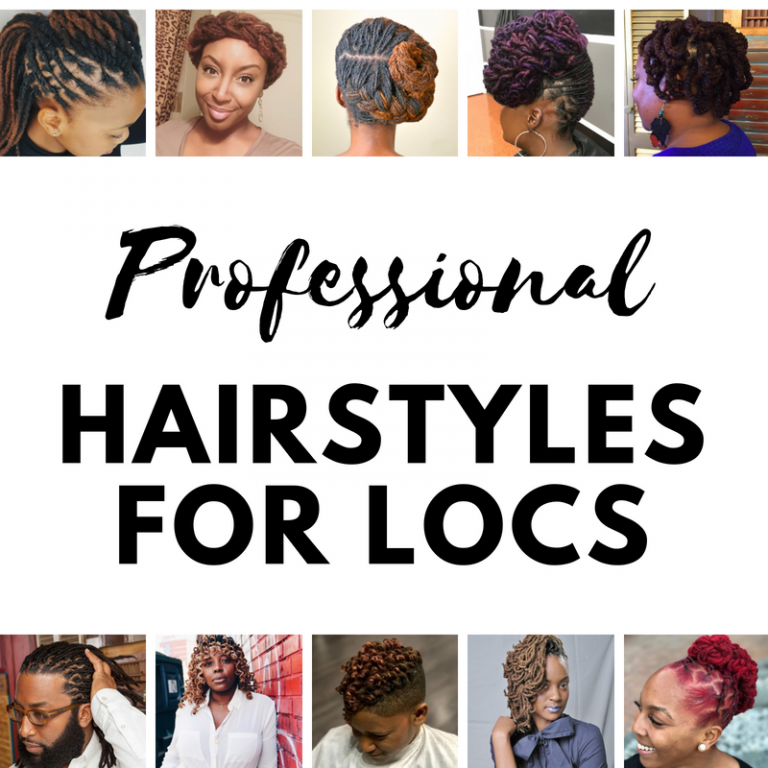 If so, you are definitely in the right place because locs are amazingly versatile! 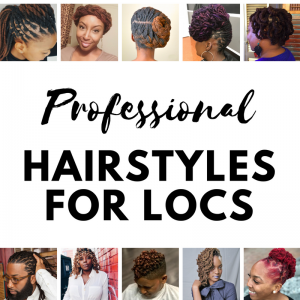 Locs give you the freedom to create styles, whether simple or intricate, without the worry of detangling or the use of excessive amounts of hair pins. And despite the recent media coverage surrounding discrimination against locs in the workplace, trust me when I say LOCS ARE PROFESSIONAL! 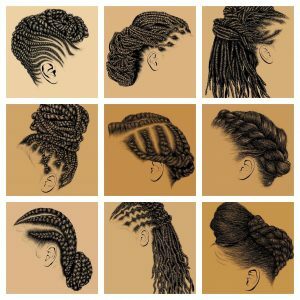 These are just a few of my favorite hairstyles for locs— all of which can be worn in a professional workplace setting. 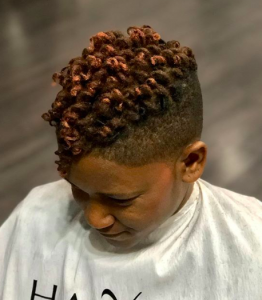 This textured pompadour style is great for longer length locs to add volume and a layer of complexity to an otherwise simple-chic pompadour with locs. 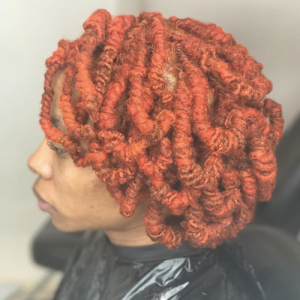 Creating an updo with tight curls on locs can take a long time under the dryer to achieve, but the results are amazing and last a really long time (when cared for properly). Wearing your hair in curls is a classic professional hairstyle for women with locs. Loose curls on locs, especially if you use Lacer Curlers to curl your locs, last forever and are great for medium to long length locs. Styling your locs with pin curls is a great way to create the illusion of shorter locs, even if your hair is long. This is a classic style that is very well suited as a professional hairstyle for any woman with locs. 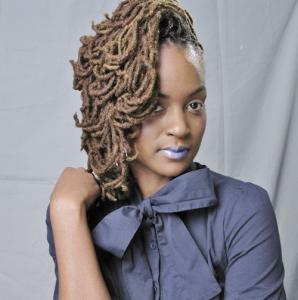 You can create this Roller Set hairstyle on locs with using styling foam or simply using water in a spray bottle. Everyone loves a bun, whether in the summer heat, with a military uniform, or for an elegant event. And you can add intricacy to a bun simply by creating French Braids with your locs and tucking the ends into a bun. 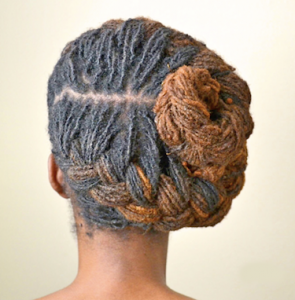 Creating a halo braid with locs is easy when you have locs that are beyond bra-strap length. 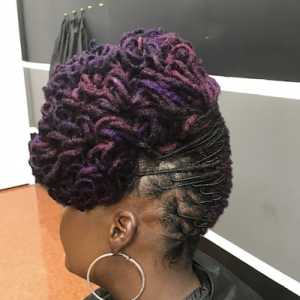 This hairstyle creates texture and volume on traditional locs and Sisterlocks. 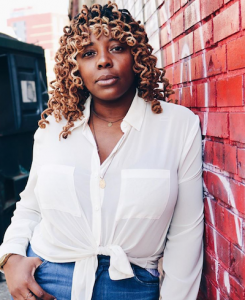 You don’t even need a full head of locs to create a luxurious set of curls. A quick curly set on perm rods will give you a beautiful hairstyle for your locs. 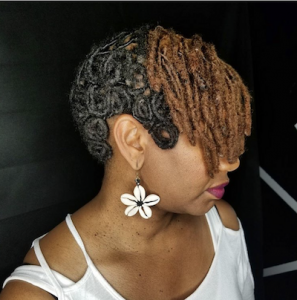 You can create dynamic hairstyles for locs using pipe cleaners, and a Faux Bob is a great example. 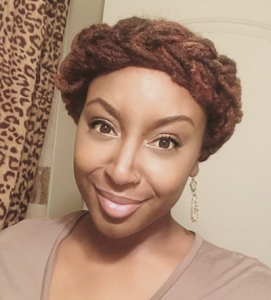 This hairstyle is great for long length locs to create the illusion of shorter hair, but also to give you another style once you remove the pipe cleaners. 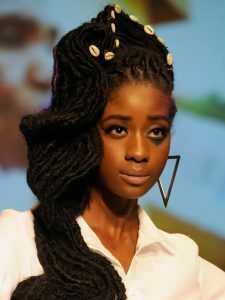 You can also create this style with medium length locs, just skip the pipe cleaners and opt for flexi-rods. 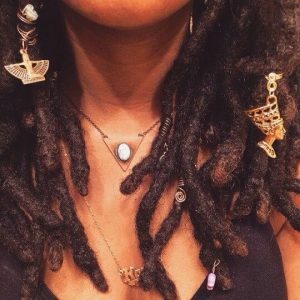 Don’t let the current stage of your locs or their current length stop you from trying a new hairstyle! Leave me a comment and let me know which hairstyle(s) you are going to try next! LOVE all of these styles! Thank you so much for bringing these to us! I love the knowledge that you share with us. I love each of the styles that you showed. Thank you for keeping us informed. I had someone tell me that starter locs or locs that have not locd shouldn’t be manipulated or put into styles. It is best to let them hang. Is this true?